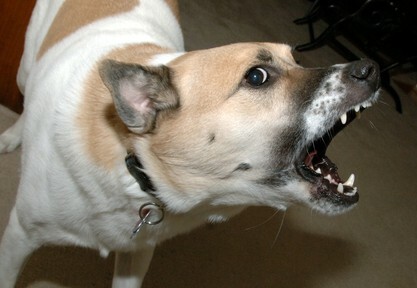 One of the most common reasons for people to seek help from a dog trainer is to stop dog biting. This behavior from the family pet isn't acceptable under any circumstances, because it puts all members of their family at risk of harm. What can you do to solve dog biting problems, or to prevent them from occurring in the first place? This allows him plenty of opportunities to learn bite inhibition. When he is playing with his siblings, he will inevitably bite a little hard. The result is a squeal from his playmate, and the end of the game. Over time, his four legged family will train him how to control how hard he bites, and this will carry over into his interactions with people. Puppies use their mouth and teeth to investigate the world around them. When you bring your pup home, enroll him in puppy pre-school where he can further learn how to safely explore his world, including your hands, with his mouth. Some herding breeds, such as the Border Collie, have a strong instinct to bite as they are moving stock. If you own one of these breeds, it may be difficult to change this behavior, and they may still nip your children's heels as they run around after them. To manage this, lock your dog away when children are playing, or keep him under control on a leash. A useful training technique to help stop this behavior is to teach your dog to look at you on command. Train him until he is extremely reliable, then use that command whenever he turns to look at a child running past. Reward him handsomely for doing it. Over time, he will look at you whenever a child is playing nearby. However, it's important that you don't take your eyes off your dog when children are around because if he rounds them up again, your dog training efforts can be undone. Also, if he does manage to nip someone, there could be serious consequences. A common reason for dogs to bite is because they are nervous. They may snap at you because they are in a situation that makes them frightened, and they feel they have to defend themselves. If you raise your puppy with positive training techniques, and introduce him to all sorts of people and places, then he will grow up to be more relaxed and confident, and this will help to stop dog biting behavior due to fear and anxiety. 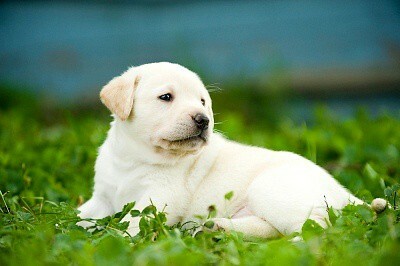 Some dogs, in spite of the best training when young, still grow up to be fearful and anxious. These dogs should be protected from any situation that makes them nervous, to avoid them from getting in a position where they may snap. 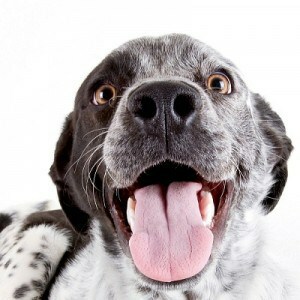 If you are adopting an adult dog, be extremely careful until he has settled in, and you can evaluate his temperament. Again, dog training classes will teach your dog to respect you and have confidence in you, which will help to reduce any biting behavior. Your dog may snap when you attempt to touch his food bowl or his bone. Use reward based training methods to teach him that it is okay for you to do this, and reinforce that training regularly. 7. Teach Him the Leave It Command!! Do you have an enthusiastic feeder who manages to bite your fingers when you give him a treat? Although this isn't associated with aggressive behavior, it still hurts and needs to be stopped. Teach your dog a “leave it” command, and when he is doing that reliably, start to offer him food treats in your had, but only let him have it if he takes it from you gently. If you are thinking about dealing with your dog biting problems on your own, don't, as this isn't a task for an inexperienced dog trainer. This is a risky behavior and if you get it wrong, you may get bitten. You may also make your dog's biting behavior worse. Ask your veterinarian for a referral to a veterinary behaviorist who will work out a dog training program to manage your dog. By doing so, you can stop dog biting in its tracks and enjoy the companionship of a safe and trustworthy canine companion.